The Chicago Blackhawks are on the brink of NHL stardom once again for the first time since 2010! After a 3-1 home victory to take a 3-2 lead in the series, the players will now head to Boston to take on the Bruins knowing that a win would clinch the Stanley Cup. Through the first 5 games of the Finals, there has been a clear feeling that the 2013 Stanley Cup Finals is amongst the most exciting NHL series ever played. This series has had it all. Game 1 went to triple overtime, while games 2 and 4 went to single overtime. Only in two matches has the victor won by more than one goal. But while this proves to be one of the most enduring and grueling Stanley Cup Finals in quite some time, it has also been one of the most competitive and evenly matched Finals ever. All this intensity and effort has now resulted in several injuries. It seems that both Jonathan Toews of the Blackhawks and Patrice Bergeron are set to miss at least Game 6 of the Finals, and such absences will surely put an additional strain on an already challenging run of games. But right now the man of the hour looks to be Patrick Kane of the Blackhawks, the hero who clinched the 2010 Stanley Cup with an overtime goal. After having not scored in the first 3 matches of the Finals, Kane has added a goal in Game 4 and two goals in Game 6. Additionally, both goals were masterfully crafted, revealing the player’s creativity and knack for instinctual shots and puck control. Now is the time for Kane to strike and put the series to bed! But the Boston Bruins won’t be put down this easily, either! 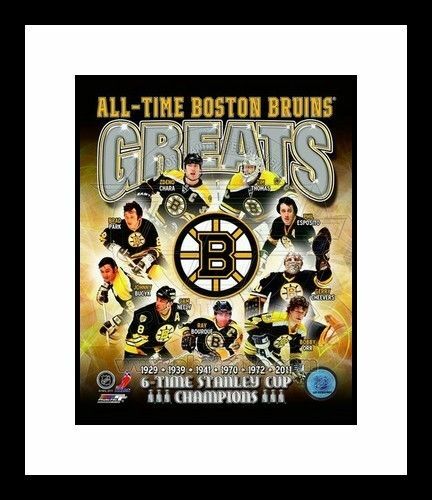 Boston has several players who are having great Stanley Cup Finals, including David Krejci, Nathan Horton, and Milan Lucic. Although the loss of Bergeron will surely be felt, this team has been battle-tested and proven throughout the 2013 NHL Playoffs. Therefore, I would be incredible surprised if they give up Game 6 in front of their home fans tonight. Although a lot depends upon how the puck bounces, Tuukka Rask will need to put in a strong performance tonight. He has been a sensational goalie in the playoffs and any former Stanley Cup Champion understands the importance of solid goalie play on the biggest nights. Goalies were the talk of the pre-Stanley Cup Finals debates between the teams, but both have had shaky moments throughout these finals. If either goalie can rise to the occasion now and help clinch the title, it would be a monumental achievement. Corey Crawford of the Blackhawks has been strong too, and while I do think that the Blackhawks will win the series, I think that it will be pushed to Game 7 after a strong display form Rask tonight in Boston. The Bruins have their backs against the wall for tonight and I expect them to respond and push this incredible series to Game 7. Look for the Boston Bruins to win game 6 in double overtime, 3-2! have the collectibles that you are looking for. As soon as the Stanley Cup Champion is determined, we will have memorabilia commemorating the team and the experience. All of our hockey memorabilia is officially licensed by the NHL and all of our autographs are obtained through private signings with the athletes. Come check out what we have today!